Fait Accompli organised a magical 60th birthday weekend in Florence, the culmination of which was a breath taking formal dinner at the Palazzo Corsini. 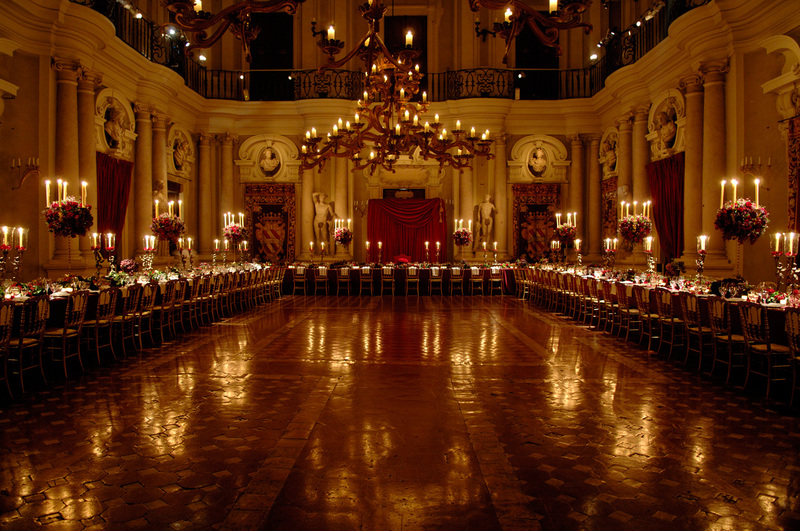 The 150 guests were seated around magnificent bespoke table in the spectacular state dining room. Founded in 1987 and based in Central London, Fait Accompli is one of the world’s leading international event organisers. Each and every event we create for our discerning private and corporate clients are highly individual and utterly unique. We understand the power of ideas, theatre and surprise better than anyone. We have built a reputation based on excellence, meticulous attention to detail and the utmost discretion. We do everything in our power to make your event an outstanding success. Whether you plan to invite 20 or 2,000 people, we will create an event that your guests will remember forever. Most of our clients come to us through recommendation, we are passionate about sticking to the budget and we are utterly discreet. We believe our best marketing is word of mouth from you, our satisfied client. And we enjoy a high proportion of clients who keep coming back for more. With multiple decades of experience across our close knit team, our mission is to deliver the best event possible for you within your budget. We use our industry contacts and purchasing power to benefit you directly and we have a totally transparent invoicing policy. Most of our clients rely on our discretion and these assignments are often highly confidential. We pride ourselves on protecting the privacy of our clients.